Hi Everyone! 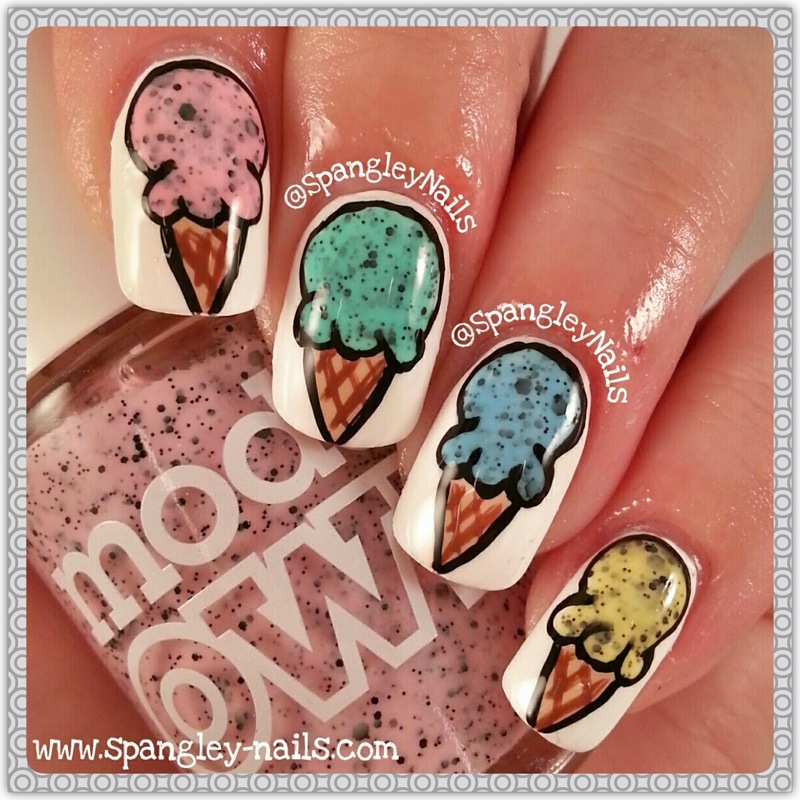 Today's post marks the second last posting of #NailArtJul and I'm really happy to say I've nearly completed it. I had a look at #NailArtAug but I wasn't so much in love with any of the prompts so I don't think I will be participating in it this time! This is my first time using my new Models Own polishes that I won in a give-away held by Antonia over at @nailsandpolkadots. They were actually really easy to work with and I'm super happy with the way they look on my nails. I cant wait to use them some more! 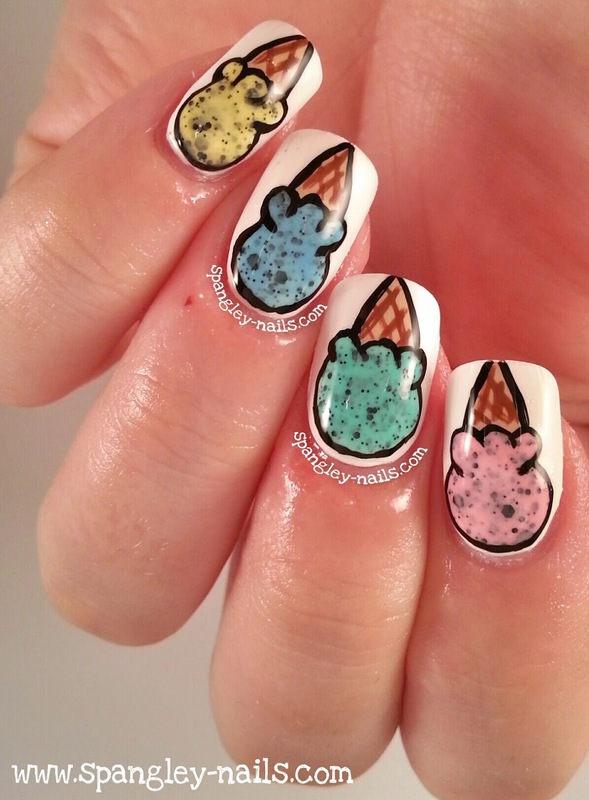 Todays prompt was "Frozen Treat" and the only nail art that felt fitting for today was ice cream! I started off by painting all of my nails with Snow Me White - my new favourite white that is opaque in 2 coats. 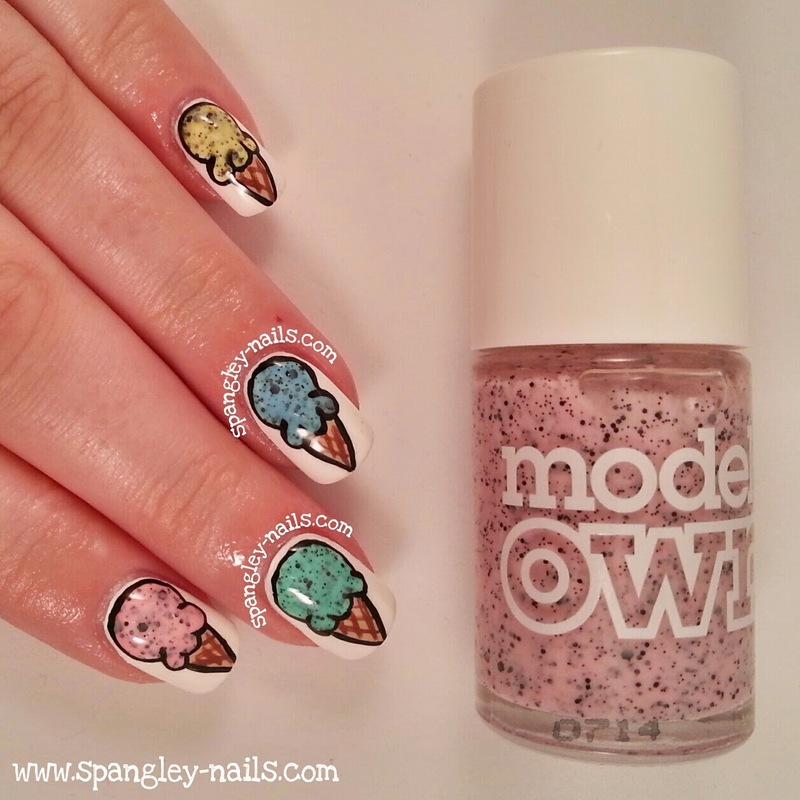 Once that was dry, I started by adding my ice cream using my Models Own polishes. You begin by making a U shape at the top of your nail with the polishes the 3 large dots at the bottom of the U with the same polish. Once thats dry, you add a V shape to the bottom of the nail to act as the cone - I used Bandage for this. I added definition with Bocha Mocha in a criss-cross pattern. Once everything I was dry I went back in and outlined everything with Black Magic, finally I topped it off with a coat of Seche Vite.